The Foxglove is now complete at Cameron Pointe! Categories: Homes for Sale, LaGrange GA, New Homes | Posted: July 7, 2015 | Comments Off on The Foxglove is now complete at Cameron Pointe! 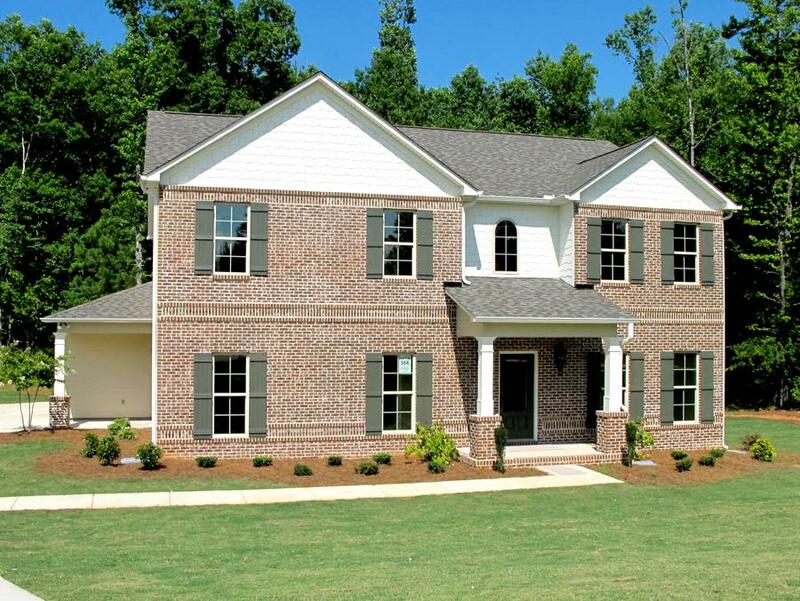 The Foxglove is now move-in-ready at Cameron Pointe in LaGrange, GA. This brand new home for sale features 5 bedrooms, 3 baths and over 3200 sq ft of living space inside a lovely community with tennis courts, a swimming pool and a private furnished clubhouse! Step inside and see the beautiful two-story foyer with hardwood flooring and winding staircase. Just off the foyer is a home office / formal living room which features french doors with glass windows and a formal dining room with wainscoting, hardwood floors and gorgeous crown molding. On the opposite side of the foyer is a very spacious 15×14 suite with private entrance to bath #3 – perfect as a guest or in-law suite. The kitchen, which overlooks the great room, boasts dark cabinetry with crown molding, granite countertops, a ceramic tile backsplash, an island and stainless steel appliances. The great room features hardwood flooring and a fireplace with gas logs. Located off the great room is the side entry of the home, featuring a built in drop zone, perfect for dropping keys, shoes and bags upon entering the home. Upstairs are four additional bedrooms, including the master suite, which features a luxurious bath with garden tub, custom ceramic tile shower, double vanity and a a divided closet, perfect for sharing. The laundry room is also conveniently located on the upper level of the home and it features a very spacious 14×6.5 storage room. Additionally, this gorgeous new home for sale in LaGrange, Georgia features a wooden deck, side entry two-bay garage and a large yard with lovely landscaping. This new home includes a 10-Year Limited Warranty from 2-10 Warranty Corporation and the seller pays $3500 towards closing costs for full price contracts. Better hurry, a home with a design this great won’t be on the market long! Give us a call today at 706-882-7773 for a private tour of this home located inside the LaGrange High School District! *All information herein subject to error, omission and/or change without notice. Buyers subject to credit approval and lending guidelines. Equal housing opportunity. Listings held by Coldwell Banker Spinks Brown Durand Realtors 706-884-5681. The Snapdragon is now complete in Amhurst! Service your air conditioner and stay cool all summer!